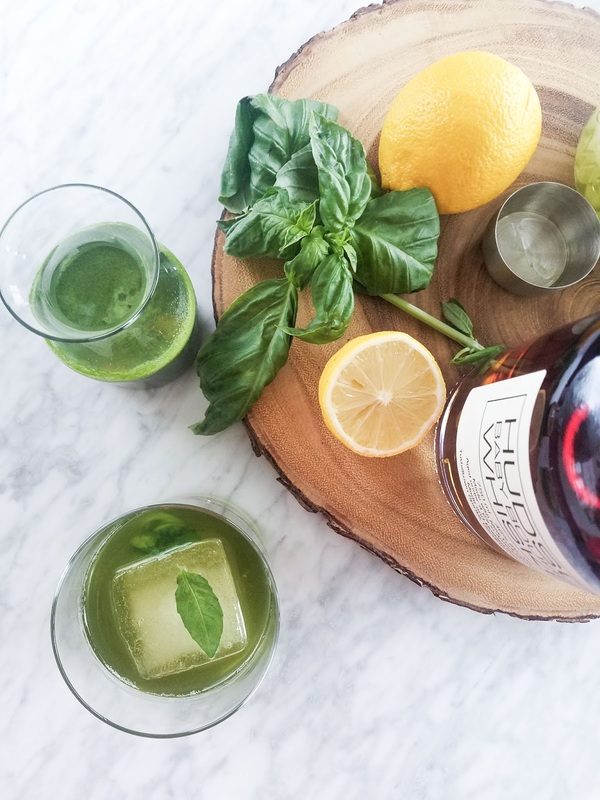 Hide your bourbon, hide yo basil… because once you taste a sip of this cocktail you won’t be able to stop. I’ve been keeping this recipe from you for far too long. It’s been my summer go-to and with the long weekend coming up, there’s no better way to keep the summer vibes going than by sippin’ on this SMASH. It’s super easy to make and you can do it two ways – one’s lazier than the other and makes it a little more boozy/bourbony, the other is more of a fancy cocktail so it’s kind of like a choose your own adventure cocktail. Plus, you only need 4 ingredients + ice. Does ice count as an ingredient?! EASY PEASY! This recipe is easily doubled, tripled, quadrupled (you get where I’m going). I recommend throwing on this song and get to shakin’. 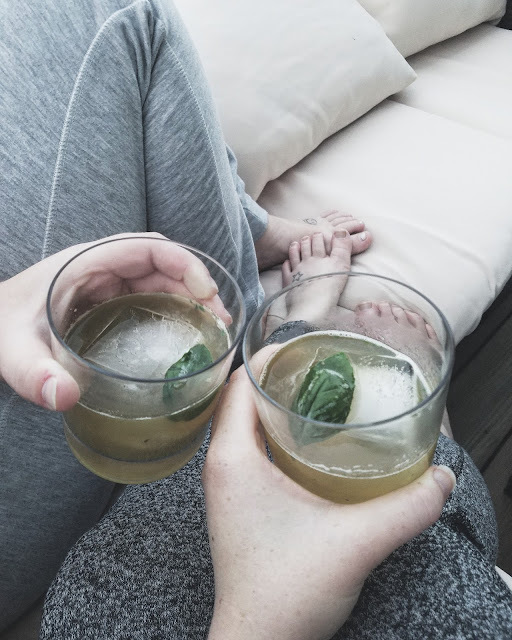 In a cocktail strainer (or mason jar) add basil, whiskey and maple syrup and muddle for a good 30 seconds to bruise that basil and infuse as much flavor as you possibly can. Fill the shaker up with crushed or cubed ice and top with the lemon juice. Shake that sucker for a good minute. You want a little bit of the ice to naturally dilute the drink which balances out the cocktail. Strain over 1 large ice cube or regular cubes, or "neat" if you don’t have a big “rock”. Place the basil leaf in the palm of your hand and give it a good smack. This releases more basil essence and it’s just fun. 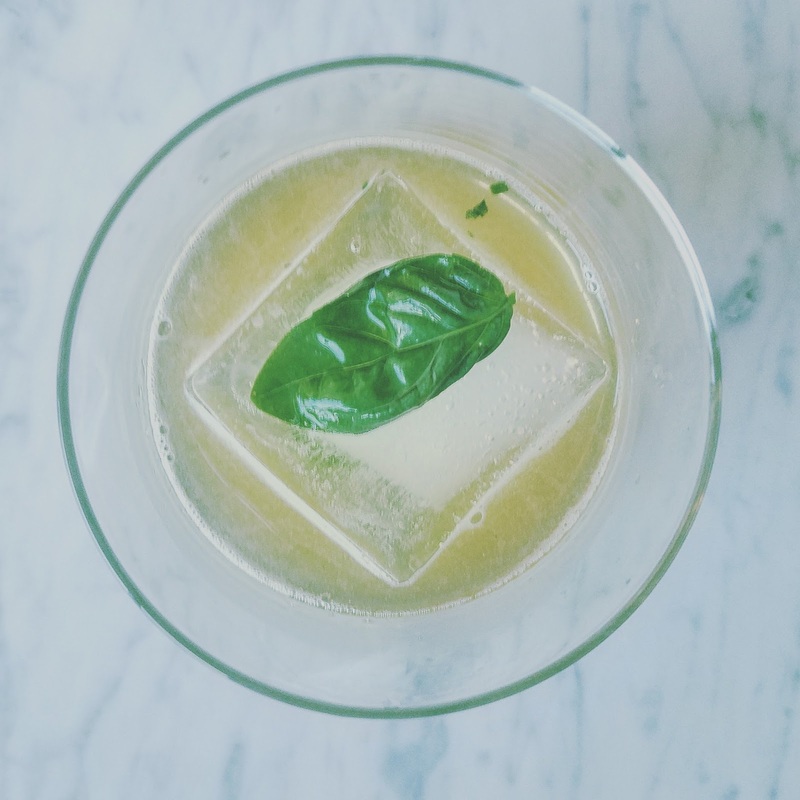 Place slapped basil on top, sip, enjoy, repeat… ahhhh! Set up your ice bath. In a small sauce pan, blanch the basil in 1 c. boiling water for 15 seconds. Remove basil with tongs and immediately place in an ice bath. Turn the boiling water off. After 1 minute, transfer the basil to a blender. Place your sauce pan in the ice water to cool it down for about 5 minutes. 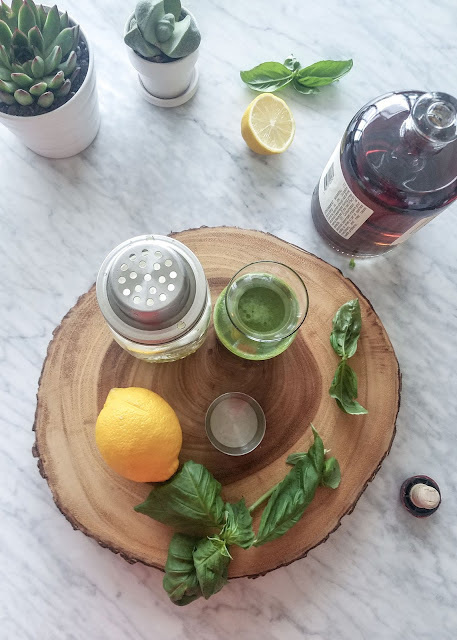 Once the basil infused water is cool to the touch, pour it in the blender with the basil leaves, add the maple syrup and blend on high for 30 seconds. Strain with a fine mesh sieve and pour into a jar and store in the refrigerator until ready to use. It’s most vibrant green right away but can be made up to 2 days in advance. 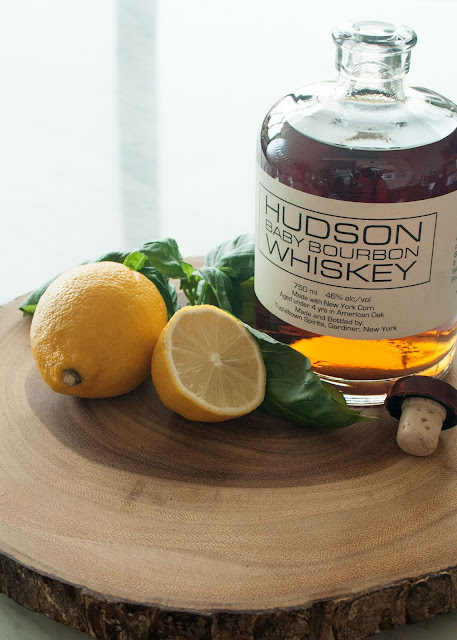 When ready to make the cocktail, add the bourbon, basil syrup and lemon juice in a shaker with ice. Give it a good shake for about a minute, strain and serve over ice. Garnish with fresh basil. 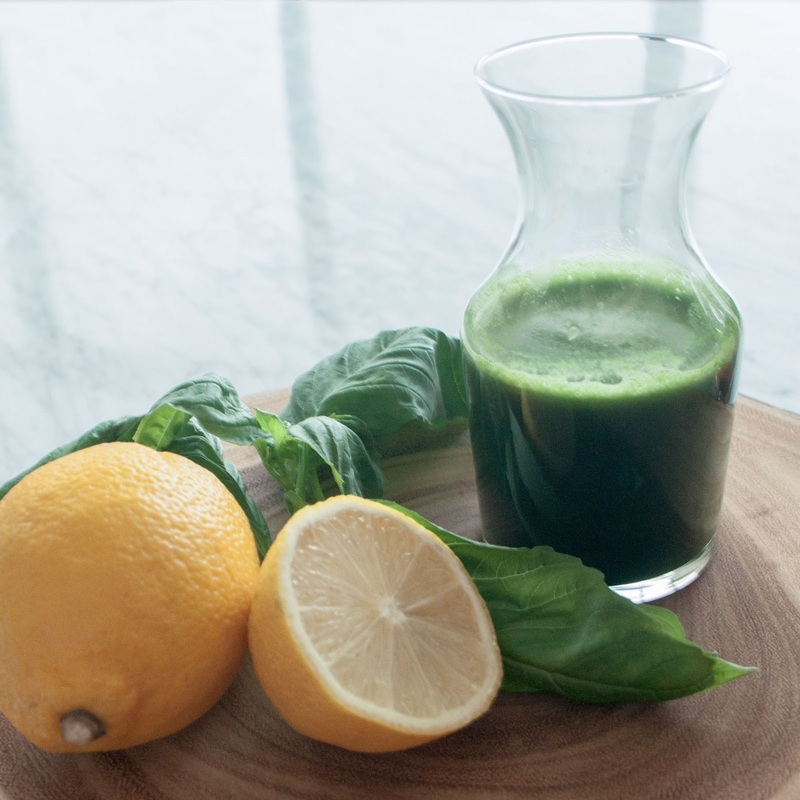 The lemon juice will start to turn the drink from a vibrant green to a slightly murkier green over time so don’t add the lemon until the very end to keep it purdy. It will still taste good once the color starts to change but who doesn’t love drinking a bright green cocktail?! This cocktail is dead simple to make and is easily substituted. I like to use maple syrup to keep it refined sugar free but you can easily use your favorite sweetener. Use regular sugar, honey, agave – whatever you have on hand! Speaking of sweetener, I’m not the biggest SWEET cocktail fan. I like it balanced. If you’re more on the sweet side, add more. If you’re anti-sweet, try it with less or without. I find just a touch really balances it nicely though. Not a fan of bourbon? I wasn’t either last summer. Something changed and now I want ALL THE BOURBON. If you’re not a whiskey fan, this cocktail is amazing with gin, vodka and even white tequila. Whatever you fancy, shake it up! Basil… delicious. But so are lots of herbs. You could try this with your favorite like sage, rosemary or thyme. How would you tweak the recipe to make it your own?! 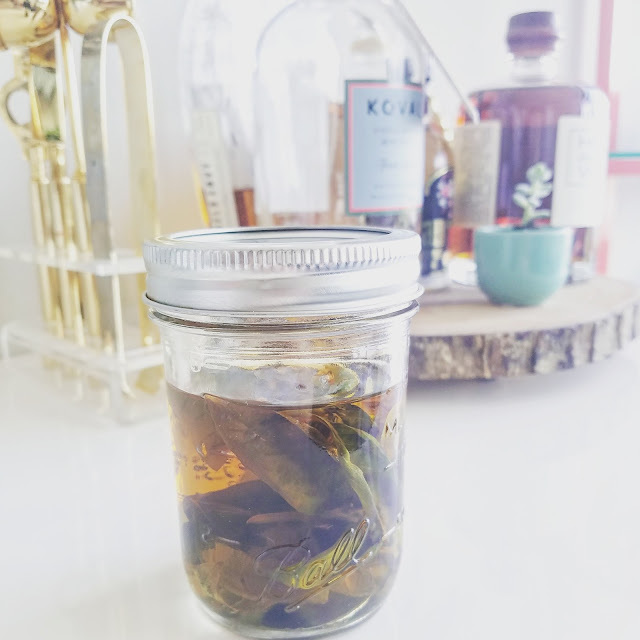 I experimented with infusing bourbon with basil. It worked but didn't really add anything. Muddling is quicker and easier in my opinion. 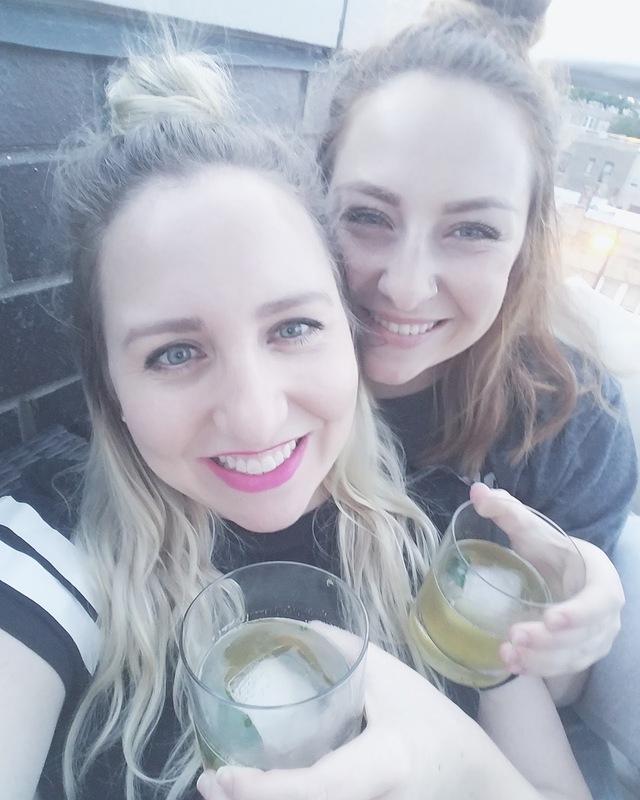 my sister came to visit last week and you know we were sippin' on the smashes! Nowadays nonstick cookware is one of the best. Everybody likes nonstick cookware. Because it is very easy to use.Best Non Stick Cookware Set. Also, cleaning nonstick cookware set is hassle-free. It is also low pricey than other cookware sets like stainless steel cookware sets. Although some nonstick cookware set is made of PFOA material, which is toxic.It is the only drawback of nonstick cookware set.